Downloading or rather recording online videos can sometimes prove to be a tiresome job. Getting an online site that allows its videos to be recorded let alone downloaded is becoming more and more difficult by the day. Most of us probably enjoy some online videos and would love to watch it over and over again. Thanks to the technological advancement it is now possible to record that favorite video you like, secretly. Through particular applications, you are now able to record whatever web motion picture content you want without being noticed or passing through the lengthy bureaucratic procedures. If you are anything like me, then this is news worth celebrating. When it comes to secret video downloading, my everyday anytime choice is and will always be iTube Studio Video Downloader for Mac (or iTube Studio Video Downloader for Windows). This video recorder and downloader is a computer software that will enable you to download videos secretly. This software is just the best the market can offer. I have used many; some have impressed me but none more that iTube Studio. This software has merely exceptional speed and smooth functionality. This software has several beautiful features that keep it on top of the game. Record live sessions from any video site including those unable to download private sites. Accommodate more than 10,000 video sites such as YouTube, Vimeo, VEVO, DailyMotion, Facebook, Instagram, etc. Enable users to prioritize their downloads by setting a timer on the tasks and creating a task schedule. 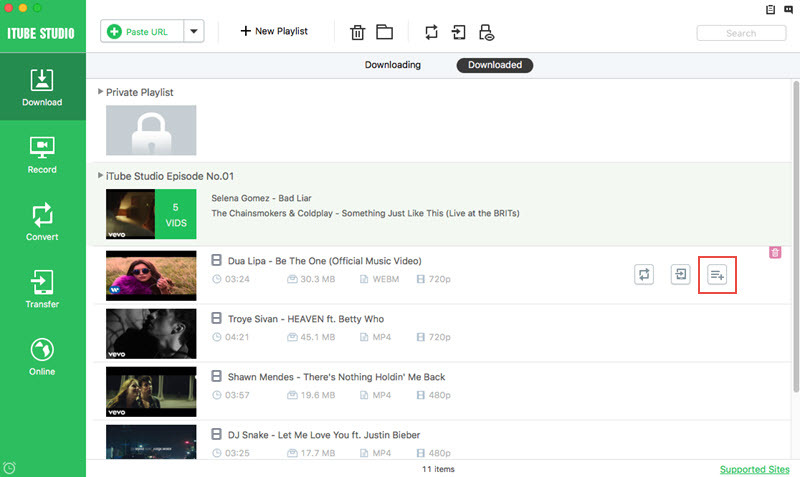 Allow multiple downloads simultaneously at 3X faster speed, for example download entire YouTube playlist. Conversion of desired videos to any desired format, as well as transfer downloaded or recorded videos to mobile devices. Offer a Private Mode to keep your downloading information protected with a password known by yourself only. iTube Studio is a user-friendly easy-to-learn and use kind of video recorder application. A simple five-step procedure will get you up and running in no time. Download and install the software on your computer. The software is available for both Windows and Microsoft OS. Once you have the software, on the menu bar there is an icon with a padlock and an eye sign. Click it; this will turn the private-download on. After turning on the private mode, you will be prompted to set a password for the videos you deem private. 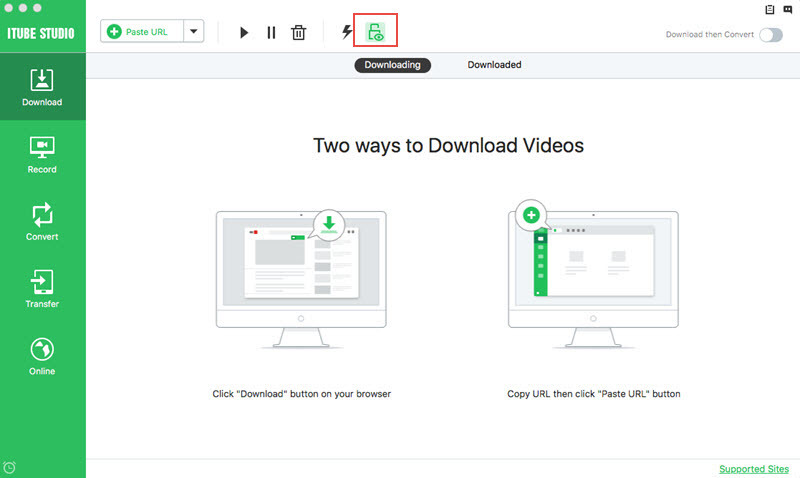 To download videos, you can either go to the site (through the built-in browser), say, youtube, next to the search box there will be a drop-down menu labeled download, click on it and a list of video format will appear for you to choose. 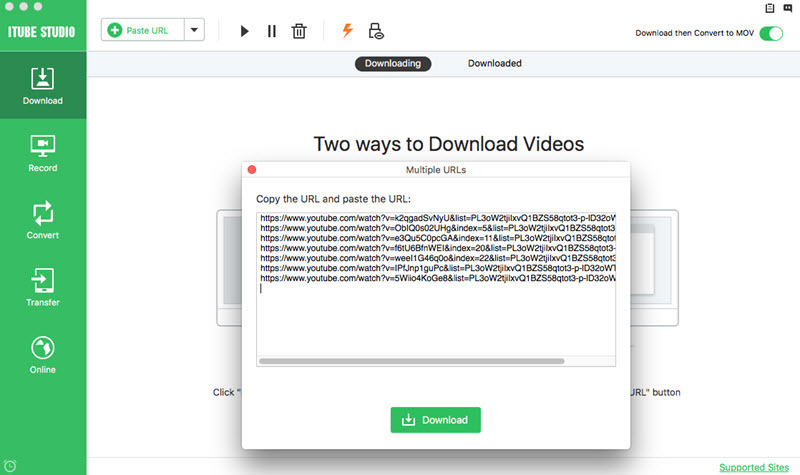 The second way is to copy the URL of the video, click the “Paste URL” icon on the application then paste the URL on the menu box that appears and then select the format you prefer then click download. Or you can just record the video secretly by the Record function on the left panel. Dag and slide the frame of the recording window to confirm the video screen you want. 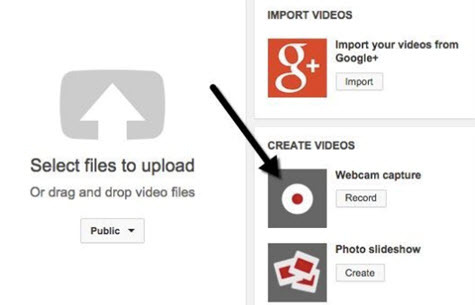 When ready, click the REC icon to start the secret video recording process. You can access your hidden videos through a folder displayed on the menu bar. You will be prompted to enter your password and there you’ll have your video. Notes: iTube Studio would automatically download most of the private site videos into the Private List. For very few ignored videos, just add the videos manually by the Add to Playlist icon shown in the picture, so that you can keep your private video protected by the password. 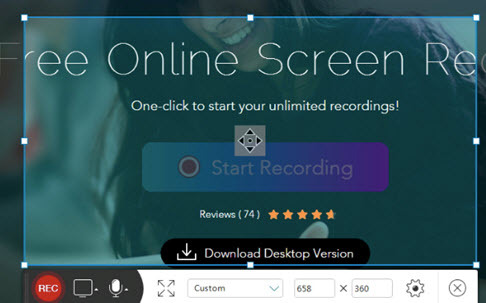 Acethinker free screen recorder is a web-based application that brings you unlimited recording options of any online content you’d wish to record and convert to whichever format you’d like. 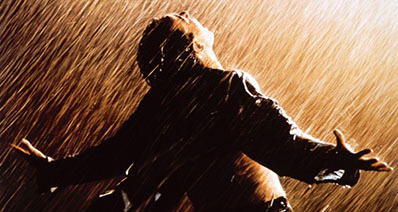 This application can be accessed by both windows and mac. It also has a user-friendly interface and numerous keyboard shortcuts for easy navigation. This is yet another easy to navigate and use online converter developed 123apps.com. 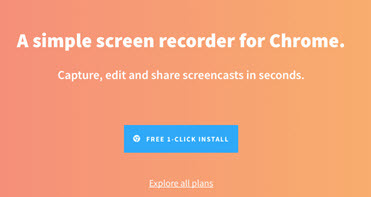 It allows you to record any online content using your webcam with just one click. The only thing that you have to be guaranteed of is a fast internet connection for this to work. You'll also need to have a good quality webcam for the sake of your resolution. Fotofriend video booth is another webcam-based video recording application. The app provides you with recording options to enhance your recording for a more professional outlook. The fun part is that after recording the app gives you a link to the video you have created incase you would wish to share it. 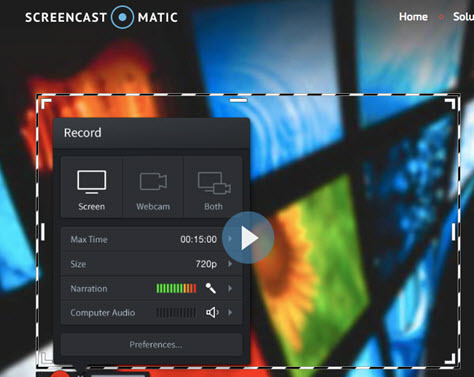 Screencast-o-Matic is one of the simplest online video recorders you'll ever get. It has over the years gained popularity because of this attribute. It allows direct recording of screen content and easy access to recorded content. 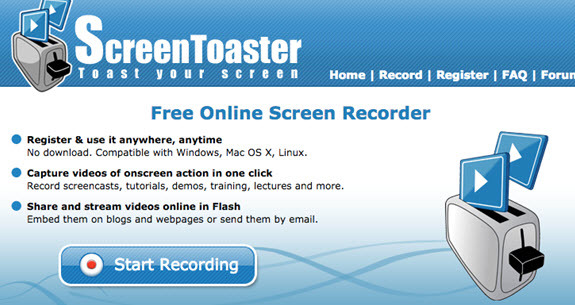 This is a free web-based screen recorder ideal for videos, and other online recording one needs to undertake. The beauty of this particular recorder is the aspect of compatibility. It doesn’t require any installation and is very easy to use. Chipchamp video recorder might just be your go-to video recorder when in need of a quick fix. It’s easy to use interface and features make it ideal for use. It also allows direct uploading of the recorded video with the options of compressing the video without any notable quality loss. 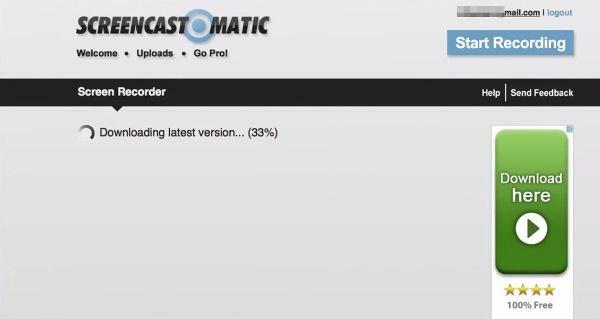 Toolster is an online video recording app ideal for people who aren’t interested in downloading and installation procedures. It, however, needs adobe flash player to function. This is freely available on their official website. This is an online video recording application belonging to YouTube; it has developed an online recording service that enables you to record any online video with the help of your webcam. It is straightforward to use and navigate. 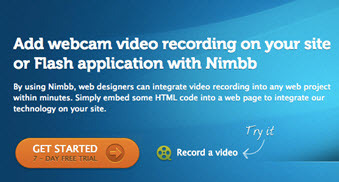 Still new to the market yet gaining more and more users by the day is the Nimbb online recorder. 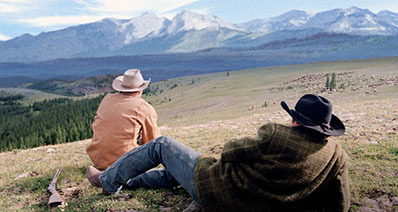 It helps you record videos using online tools and facilitates submission of such online. It also has a mobile IOS application for those using iPhones and iPads. 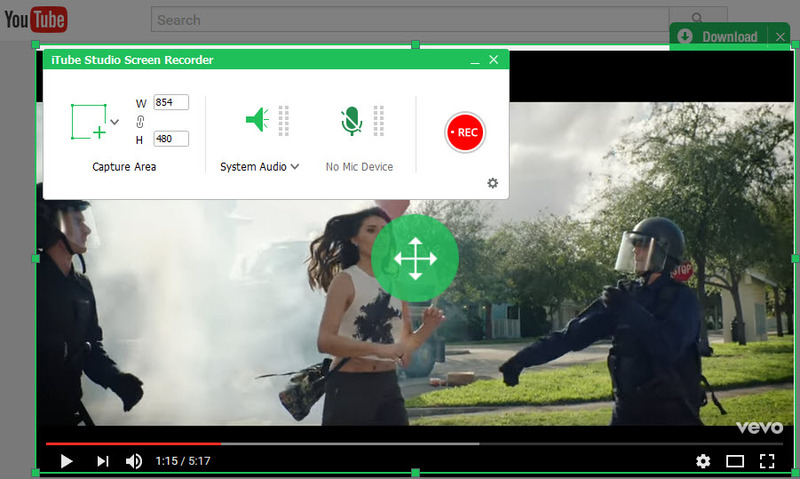 Of all the screen recorders I have interacted with the Screen Castify has the best user-friendly interface there is. It is. However, a basic video recording application seeing that many of the fancy features were excluded. All in all, it can do the basic recording for you.